OMG! I was excited to start the journey toward Rohan and it did not disappoint on the first day. The activities on the agenda went sort of according to prep plan (prep-for-riders-of-rohan). It actually started off much like the journey-toward-dunland. Priorites! 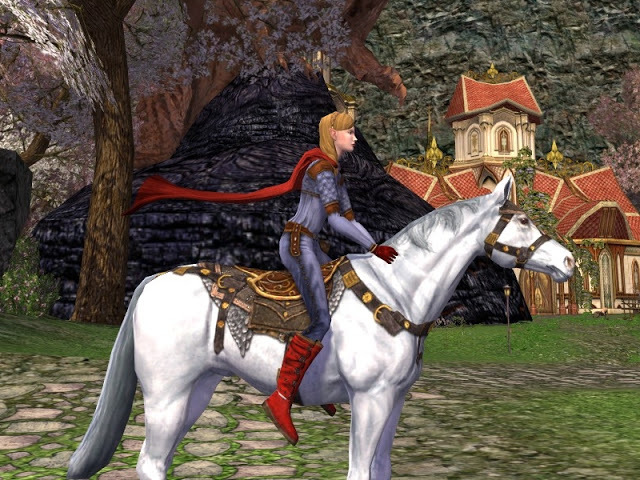 The first thing I did was that I went to Stangard and bartered for a new horse! He is called the Prized Easterling Horse. Obtaining it requires Kindred standing with the Heroes of Limlight Gorge and barters for 20 golden tokens of Anduin. 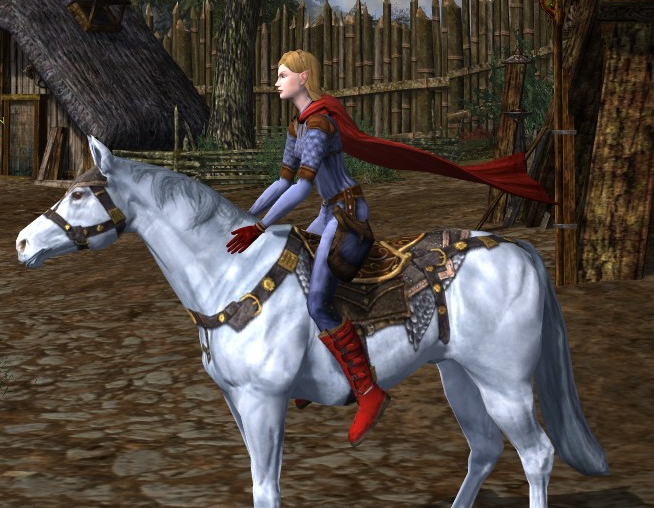 He is similar to the other Limlight Gorge horse (called the Wayward Easterling Horse), except his coat is much whiter and the saddle and tack are different. Both horses can be seen at reputation-steeds. So many new things… The Skills/Mount tab changed. The horses are much more organized now and there is a search feature. They are organized into categories called Standard Mounts, Festival & Event Mounts, Reputation Mounts, Deed Mounts, Exclusive Mounts, and Promotional Mounts. Hmm, Now that the game has some sense of organization, I may have to organize my Steed Gallery (All the Steeds) a bit differently… though it is similar, I do like how I divided mine a bit better. Next, I and the team of lildana crafters turned in items for Guild Rep, then bought all the Guild recipes. I think the Weaponsmith or Woodworker won the award for having the most recipes. I will talk more about that soon I am sure. Like the previous tier, there are special crafted items that can be made only once per day. There are lots of subtle differences now, that I really like (I think). The addition of a gold arrow above the target is new (see it in the next picture). I am not sure if it can be turned off or not. I will let you know if I find out. All crafters can make Bridle Relic symbols. They are class specific. There are 3 types per class. Relics will have a separate post soon I am sure. However, only Tailors make Bridles. 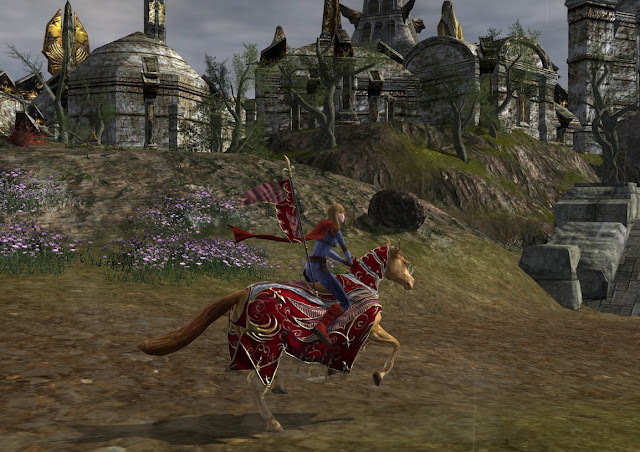 There are 3rd Age level 85 and 2nd Age level 85 crafted bridles for Light, Medium, and Heavy warsteeds. The first thing to see is that the bridle crafting is on a Cooldown (1 day for 3rd Age; 3 days for 2nd Age). I will defer that to a later discussion as well. Danaszar points out that the Guild Halls moved. The ones that were in Esteldin have moved to the back of the craft hall. In this picture, she is looking at what used to be the back of the Esteldin craft hall, which has been remodeled to include the jeweler and woodworker halls. 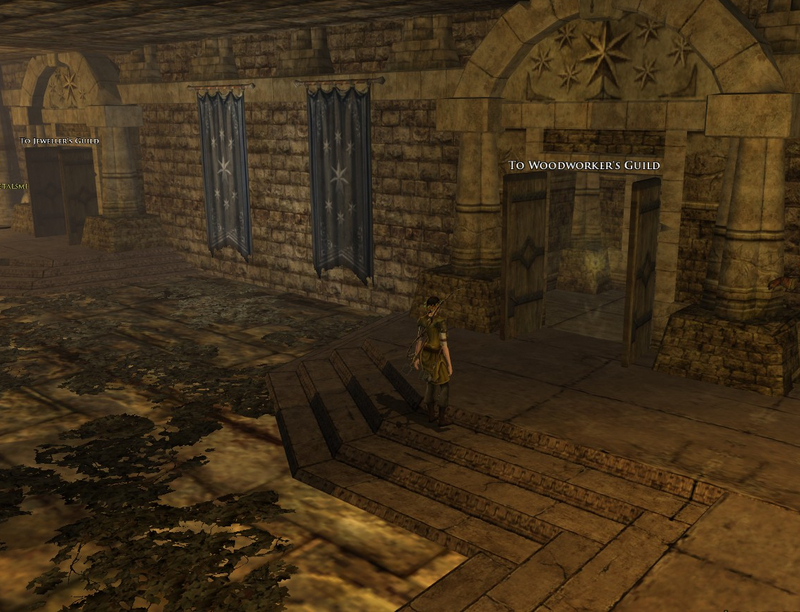 The Guild Halls for Metalsmith and Weaponsmith are now next to the forges in Thorin’s Hall. 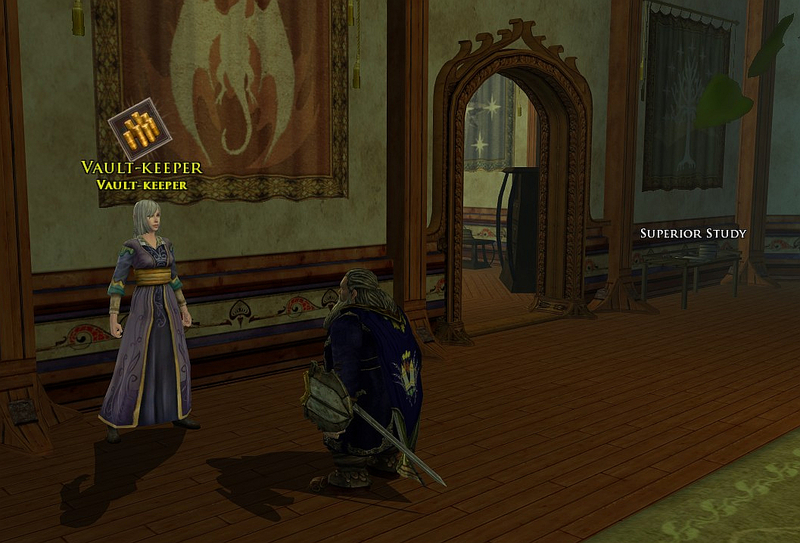 Danadalyn notices that a new Vault-keeper has set up shop in the Thorin's Hall forge area, right next to the Weaponsmith Hall (you can see the door for it in the background of this shot). 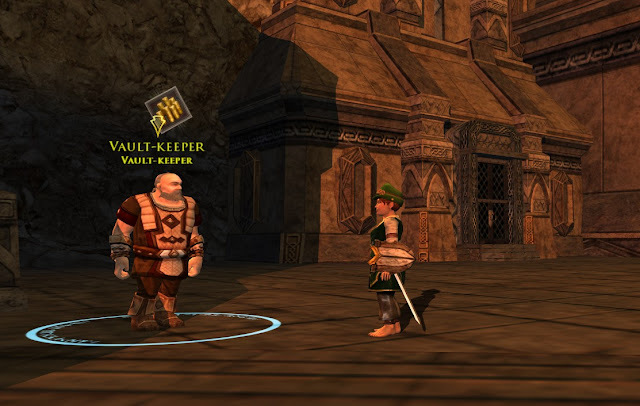 Similarly, the Scholar Guild set up a vault-keeper AND a superior study right in the Scholar Hall room in Elrond's house. 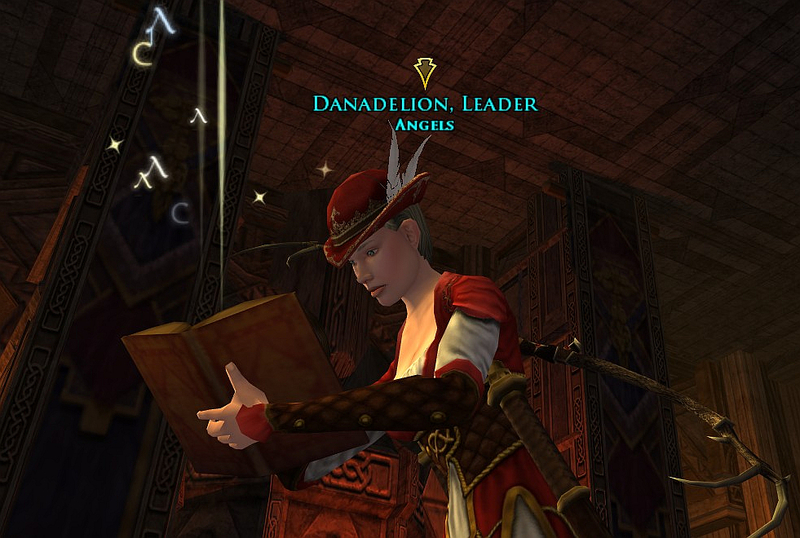 Danaclaus the scholar will never get any exercise now, unless it is to check the Mail. He petitioned Elrond for the addition of a mailbox inside the house… no answer yet. I re-spent my LI legacy points since they were all reset with the update. Fortunately, I had pictures of the LIs so I didn’t have to remember all that while thinking about new stuff. Virtues are updated to rank 16! I didn’t bother to change any of my virtues at this time. I figured that if it was good enough yesterday, it is fine today. They clearly got a bit better though. Before Rohan deeds, every virtue has at least 16 available ranks (ranging from 16-22, average 17.75, total 355 deeds). Finally, it is time to ride toward Rohan! The momentous occasion required a grand steed, the Reveller’s Gilded Horse fit the job nicely. That is all for now boys and girls. I will pick up again on Friday with more stories and data and horses, oh my... /spoiler* a War-horse may enter the picture. hehe. Enjoy your adventure! Yay Aeronwy! Thanks for the comment! I just looked back at the Rohan prep plan, and realize that it is guiding my actions very well and keeping me from rediscovering order of objectives. Dang... meant to post this in the newest post too /smackhead. I see your T-shirt and raise you a "My other ride is a lotro Warsteed" bumper sticker for my hoopty hoopty hoop. Nice one. I'll put that between my "I Break for Riddermark Ore" and "My Warsteed was Student of the Month at Harwick Riding Academy".